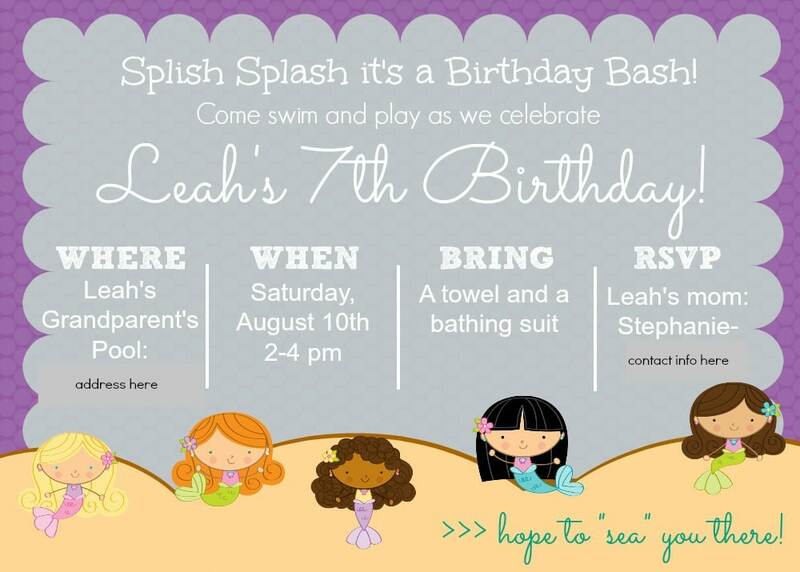 For Leah’s birthday party this year, she wanted to make some creative party invitations. 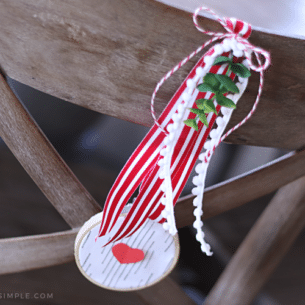 We created this idea in 2009 for her 3rd birthday and they are not only adorable, but they are super SIMPLE to make- which is just the way I like it! But the creativity didn’t stop there! 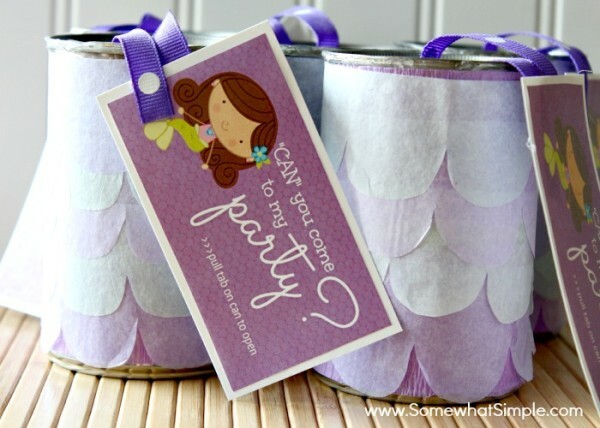 Using the same basic steps found on THIS post, we rolled up these invites, stuffed them inside empty fruit cans and filled them with candy. 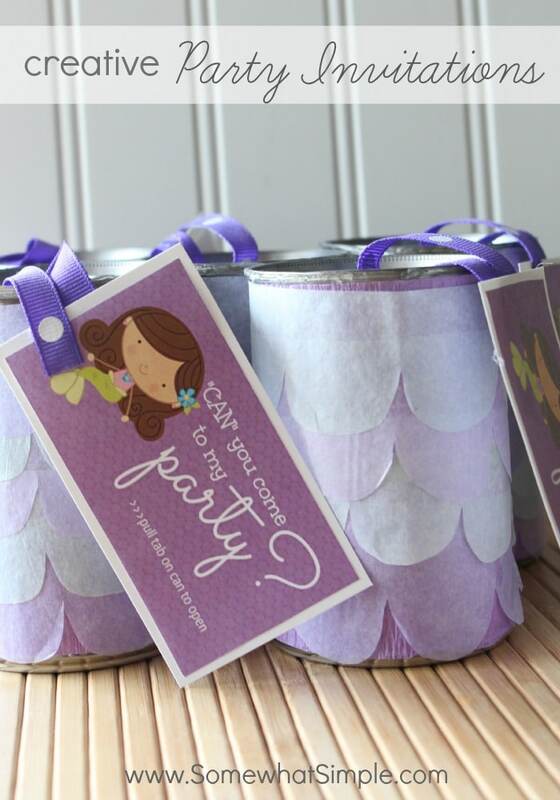 To decorate the outside of the cans, I cut some purple and blue tissue paper into scallop strips and glued them in layers, starting at the bottom and working my way up. 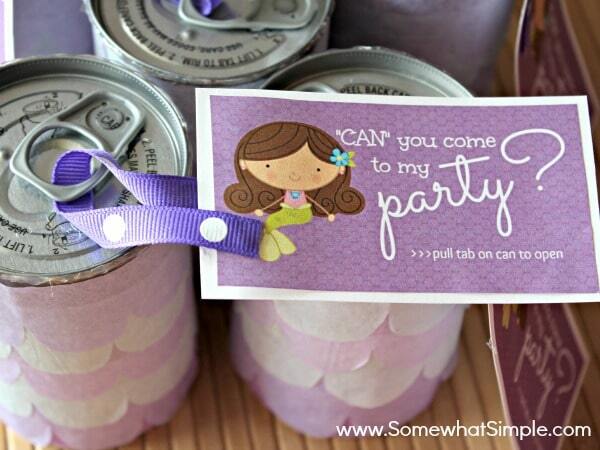 Lastly, I made this tag to go on the outside of the can, telling invitees to pull the tab to get the invitation. I attached it to the can with a loop of ribbon through the pull tab. Could these be customized? 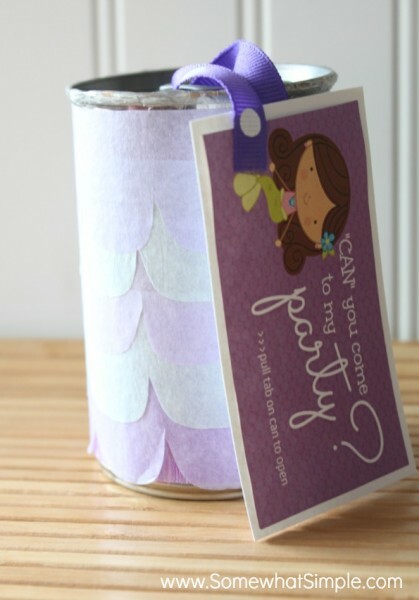 I would love one with a blonde mermaid for the card that goes on the can. My daughter was just saying she wanted a purple mermaid party and I thought where will I ever find that! Adorable!!! I bought this clipart on Etsy- I wish I was talented enough to create my own and customize it for you. But you should look on etsy- they have a TON of mermaid clipart! Adorable, absolutely adorable. This is such a creative idea!! How did you think of it the first time? 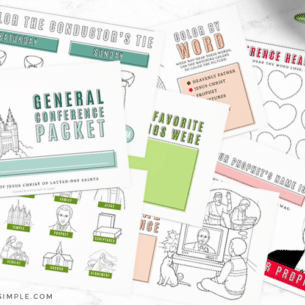 I linked over from the Whipperberry Link Party where I am participating too with Sympathy Card and Free Sympathy Cut File and would love it if you’d stop by. The invitation itself is adorable, and I absolutely love how you packaged the invites! 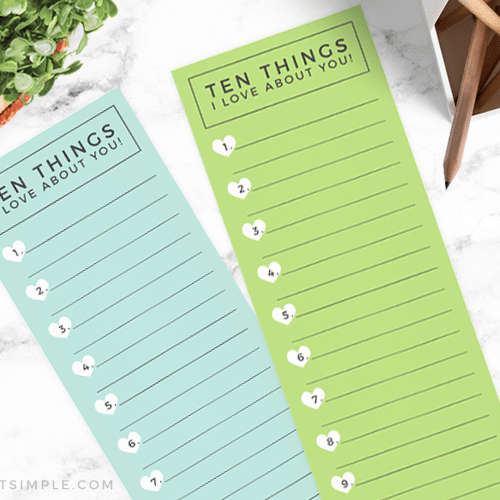 Great idea to use for Valentine’s day or for a card/gift that could be sent through the mail. Thanks for sharing! Thanks Aida- I appreciate you stopping by! This has got to be the cutest birthday invite I have ever seen. what a stinkin cute idea!! thanks for sharing. Thanks for stopping by Becky! I appreciate your comment! Ive wanted one of those can openers for a long time!!!! Beverly, I haven't tried the "fancy" can opener, but I would think that would work just fine! Try it out and let me know! Cute idea. Found you through my daughter Lauren–uswheelers.blogspot.com. 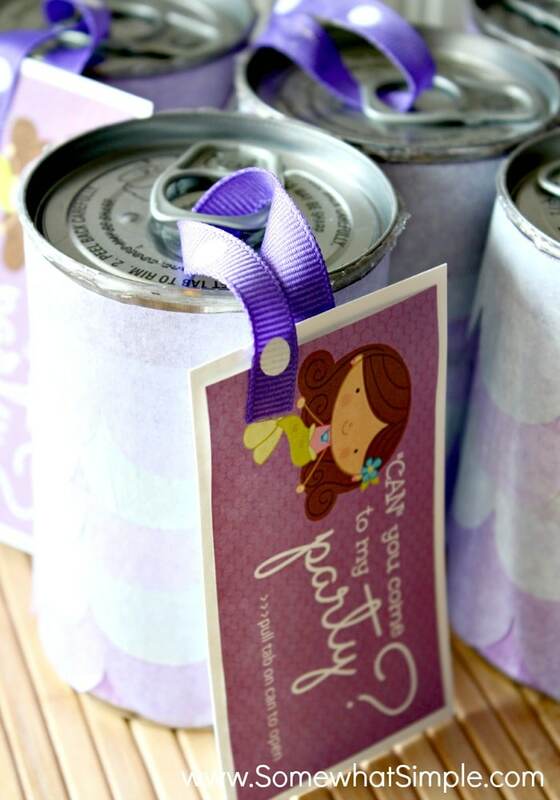 In doing the can invitation, could you use one of those can openers that takes off the whole lid? Then you wouldn't have to worry about sharp edges, plus the lid pops back on pretty easily.